Say My Name | Y'all Behave! I’ve said it before, and I’ll say it again, just because I’m a Supernanny does not mean I don’t make mistakes. It only means that I learn from my mistakes and hopefully become better at my job. One thing I’m always working on is referring to kiddos, particularly infants, by their given names, and not just by “baby”. It’s much harder than you think, considering that what I love most about them is their babyness- it’s the first thing that comes to mind, “Hey look, it’s a baby!” I have been working on being more mindful of this habit because it is important to refer to each child as an individual. 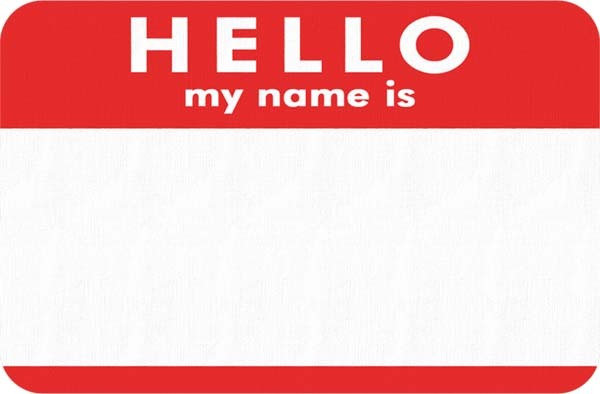 Though I see each one as a unique person, by referring to him/her with such general nomenclature, as “baby” I am 1) not helping his/her recognize his/her name, 2) only getting in the habit of calling him/her “baby”- a habit harder to break the longer you do it. Now as much as I work on not using the universal “baby” as a title, this does not mean nicknames are off the table. 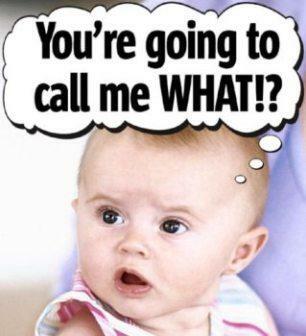 The kiddos love when I grant them nicknames! Some days I have three different houses to nanny at, at times I have gone to four houses in a sixteen hour period. On days like these I admit I’ll call the children, “puppies”, “babies”, “honeys”, “angels”, “weirdos”, “monkeys”, “nut jobs”, “angelfaces”, “sweethearts”, not only as terms of endearment, but because I don’t know where the heck I am, let alone who I’m watching. One formula for funny is my temporarily nicknaming them according to behavior. Like when Mr. Man was pouting over sharing a toy with Big Cat I would say, “What’s with the attitude, Frowny McPout?” to which he immediately laughed and got on with his life. Other funny formulas in the nickname department I’ve used include: Hoppy McJump, Dirty McMud, Whiney McMoan, Dizzy McSpin, etc. Now based on those nicknames you can imagine what each kiddo was up to. When a child forgets to put on shoes when we’re preparing to venture out of the house I ask, “Who are you? Shoeless Joe Jackson?” Now, none of the kiddos have ever seen Field of Dreams, but just the cadence and humor of the name gets a laugh and a run to pop on some footwear. As much as I would love to refer to them as babies forever -if only to make it seem in any small way, that they will always remain babies- I must get with the times, and accept that at some point they will be babies no more, and I had better know their names! And so, Miss Cheryl finds room for improvement in herself, as much as anyone else, always wanting to step up my game, in this case remembering, it’s all in the name.